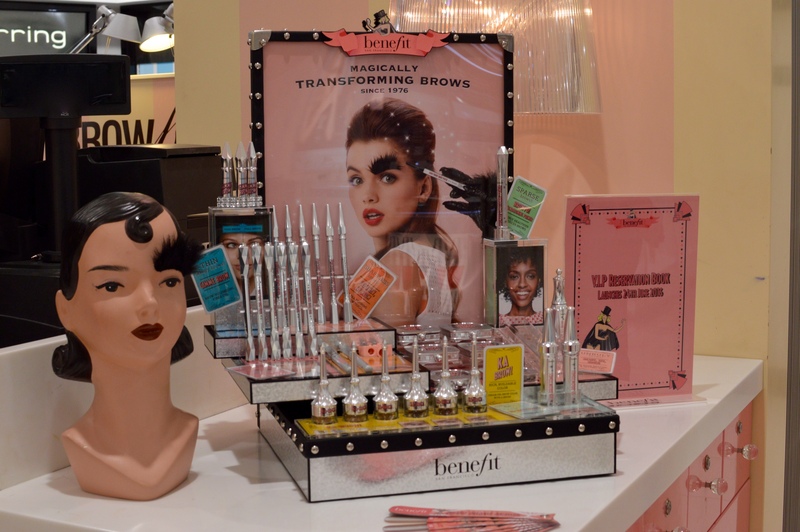 Benefit have been into eyebrows since the brand was founded, in 1976. 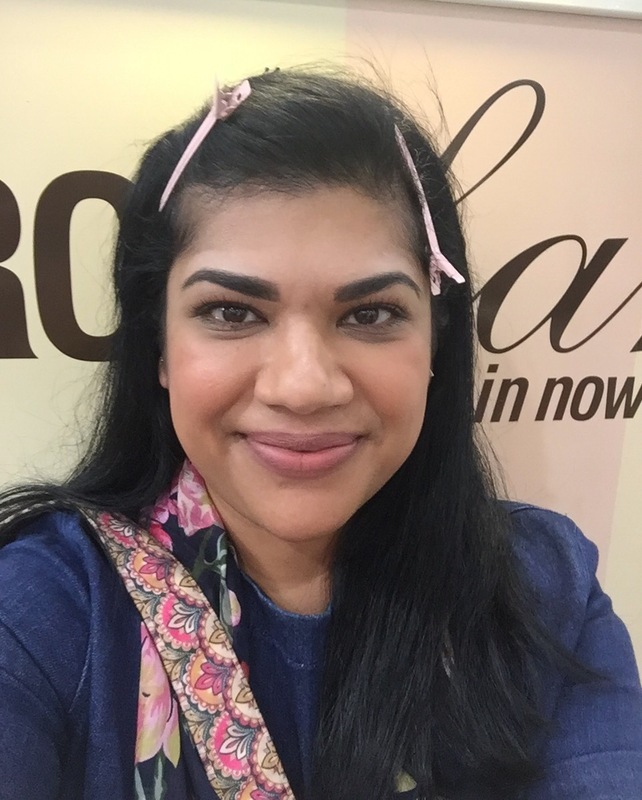 I was invited to the Benefit Brow Bar in Debenhams, Eldon Square to learn about the new brow collection, which is available as of right now! 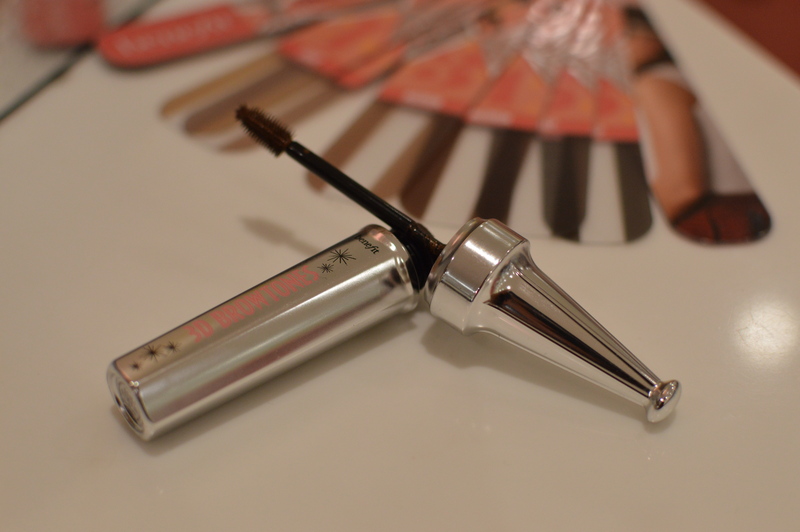 From Friday 24th June, there will be 9 eyebrow products available, compared to the 3 they had previously. So, 6 new products. There are also now 6 shades to choose from, there used to be 3. They’ve given the old products a complete makeover – the packaging is gorgeous. I can remember picking up my first pair of tweezers and getting started when I was about 15 years old… my friend had told me the handy tip of tweezing after a hot shower because it would hurt less. Erm, OUCH. The next stage of my eyebrow-life was threading. I got threaded for the first time in 2006, in India and have been threaded ever since. I had my eyebrows waxed for the first time ever, this week. So first up, before waxing my brows, Dean from the Benefit counter used the new and improved brow mapping tool to map my brows. The tool helps to check that they start/end at the right points, as well as checking the arch is in the right place. To do this, he held the tool vertically next to the dimple of my nose and marked a line here – that’s where your brow should start. Then from the side of the nostril, pointing through the pupil – that’s where your arch should be. Same again but across the waterline of your eye – this is where your brow should end. Mine are a bit uneven but not terrible, it turns out! 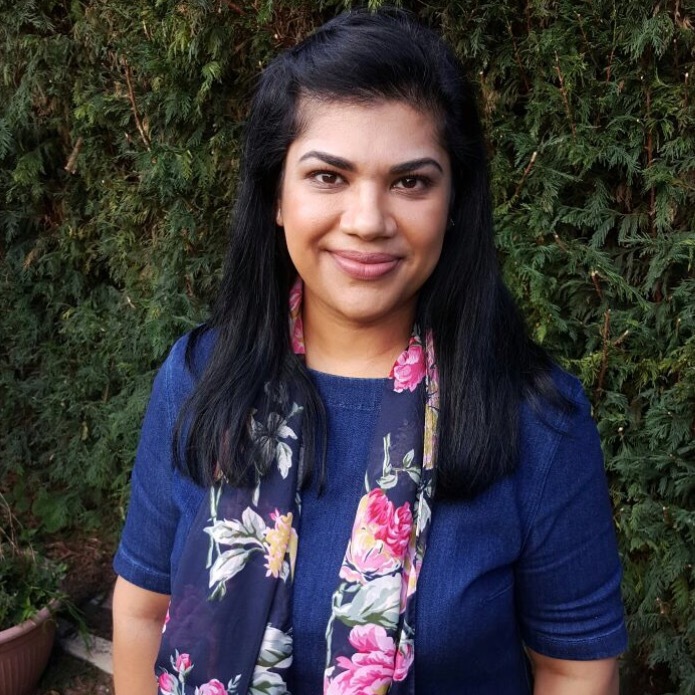 The waxing bit – I was a bit apprehensive about this, just because I’ve been threaded for so long – but actually, it was super quick and the pain was bearable. Loved the neat finish. Once the waxing was done, Dean applied a cooling gel and asked what kind of eyebrow look I wanted to go for by using the products. He offered to do one brow in a neat but natural style and one more defined, then I could decide which I liked best and go with that one. First up, Dean applied the new Browvo! 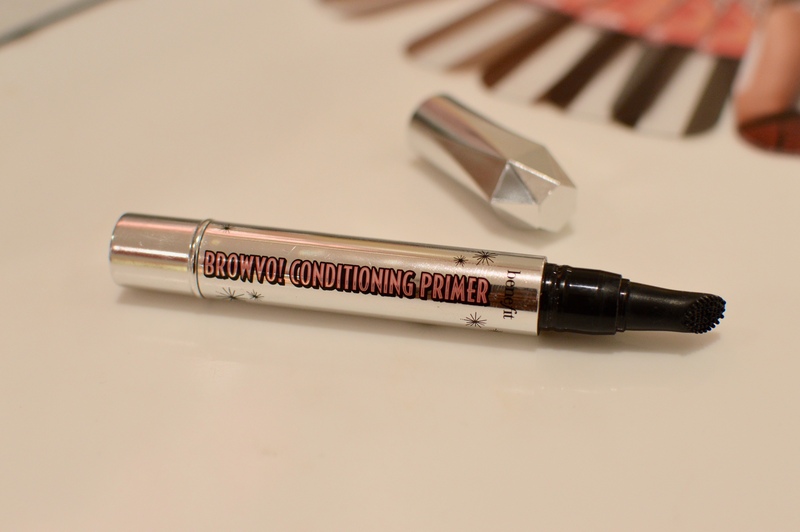 Conditioning Brow Primer. This contains keratin and soy proteins to help brows look thicker and fuller as well as helping to extend the wear of your other brow products. Ka-BROW was applied to one of my brows. The formula is a creamy-gel and is also buildable, so you can control how intense you want your look to be. This stuff stays put for 24 hours and is waterproof. It comes with it’s own angled brush in the handle. HANDY. For the more natural (yet still nicely lined and filled in) look, Dean used Goof Proof eyebrow pencil, again in shade 6. 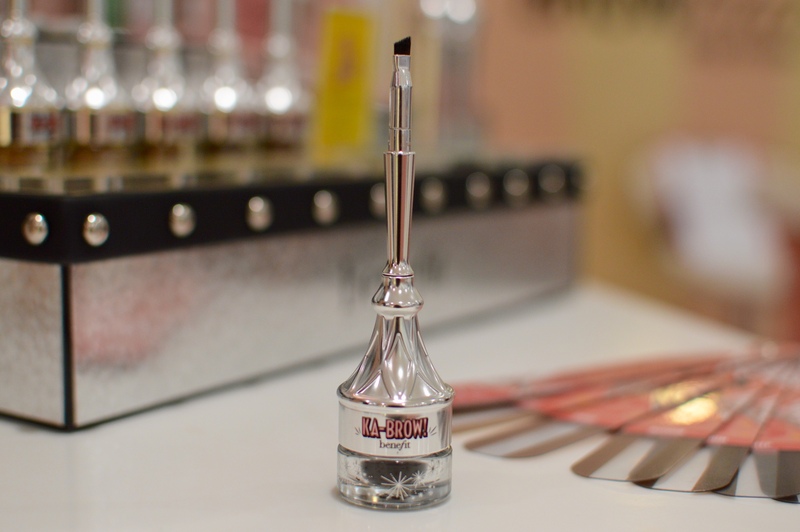 Love the name of this, this is definitely what I need when it comes to brow products, something super easy that is totally fool proof. This pencil is double ended. One end is the no-sharpen pencil and the other end is a blending spoolie. 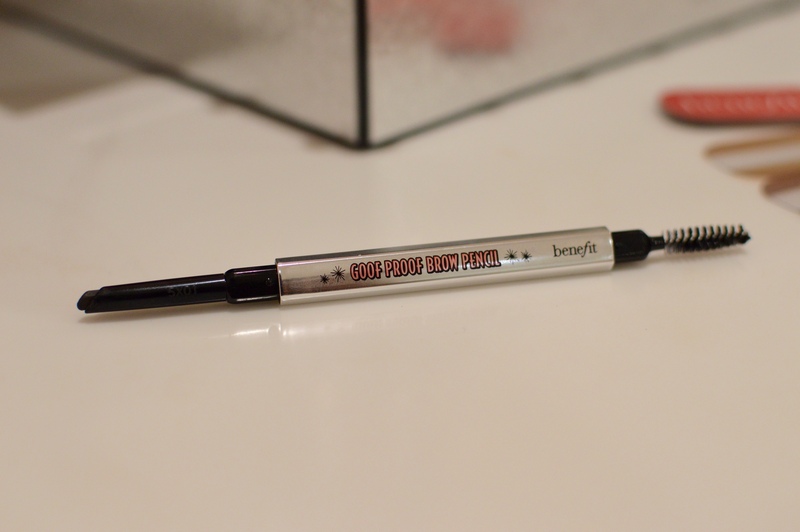 It glides on really smoothly and the fine diamond-shaped ‘goof proof’ tip is great for lining and filling-in any gaps. This left my brows feeling waxy, in a good way. Nice clips right?! The eyebrow on the left is the ka-BROWed brow and the one on the right is the Goof Proofed brow. The right brow was instantly my favourite, so Dean removed the ka-BROW and Goof Proofed that brow too. After that was done, the High Brow Glow highlighter was applied onto my brow bone. This is a beautiful champagne-pink glowy creamy highlighter. I really liked how this looked when applied, I’d probably use a tiny bit less for every day. The Ready, Set, Brow Gel was used to finish the look! This is a quick-drying clear gel, great for taming brows and hold them in place. I managed to somehow delete my photo of this from my camera. Clever. 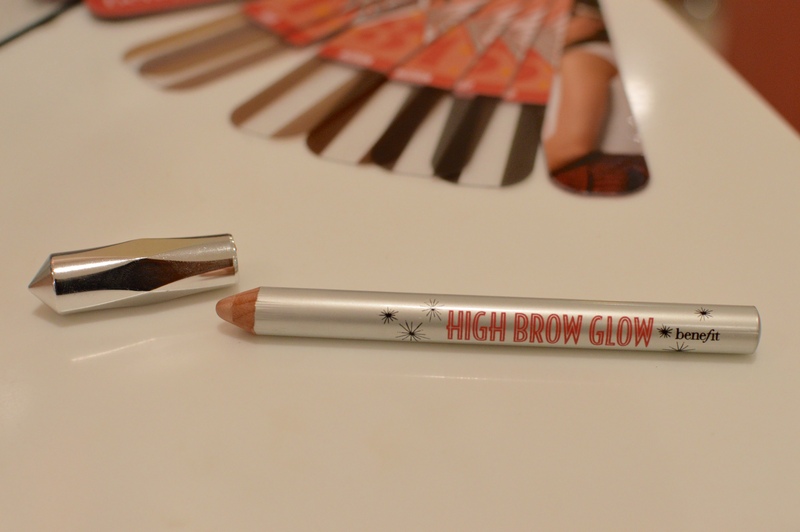 It wasn’t used on me, but another product from the new collection that’s interesting is the 3D Browtones Eyebrow Enhancer – this is a brush-on highlighting gel which basically gives your brows subtle highlights so they’re not flat colour. Interesting right?! The whole collection is great and the packaging really is gorgeous. I’m impressed that there really is something for everyone, no matter what kind of look you’re going for or what kind of product you’re after! Out of the products used on me, I wanted to double check how my brows looked in natural light before making a purchase, but I’ll be going back for the Goof Proof pencil as well as the High Brow Glow highlighting pencil. They’re going to make a wonderful addition to my makeup bag. I do like the idea of a primer and a setting gel but I just want something quick and easy and Goof Proof delivers that. *Thank you Benefit, for the invitation!